Gringo El Salvador la Fany Honey coffee beans is a very sweet coffee with tones of milk chocolate and red berries. The roastery has known Carmen & Rafael Da Silva for 15 years and visited their farms many times. The farm has always surprised with new improvements and experiments. This microlot is a Honey where the coffee has slowly dried in its own sugar. It has also been fermented for two days in wooden barrels (they call the process GLAZED). 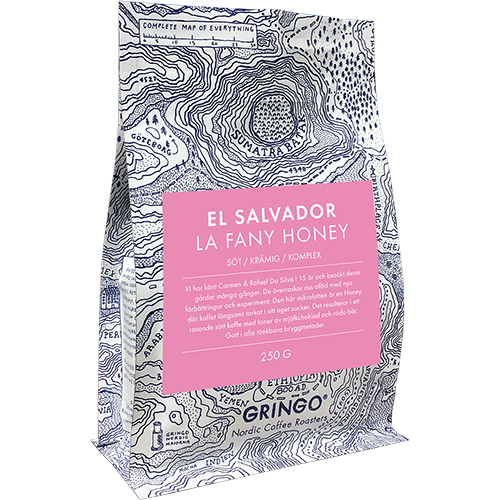 Gringo El Salvador La Fany Honey is good with all possible brewing methods.